Mexico offers amazing saltwater fishing on both coasts; The Yucatan Peninsula on the Caribbean side and the Baja Peninsula on the Pacific Coast. The Yucatan offers outstanding flats fishing for Tarpon, Permit, Bonefish, Redfish and Snook, and the Baja offers great inshore and offshore fishing for everything from Roosterfish, Mahi-Mahi to Marlin and Pacific Sailfish. Yucatan Peninsula: Fishing the Gulf & Caribbean The Yucatan peninsula located at 21°30’N 86°30’W, offers 60 square miles of flats; many wadable. Mexico’s Yucatan Peninsula is divided into three states; Yucatan to the north, Campeche to the southwest, and Quintana Roo to the southeast and are found between the Gulf of Mexico to the north and the Caribbean Sea to the south and east. Because of its dry, level nature, the Yucatan is mostly devoid of rivers, except during the wet season. Along the coastline you will find many species of birds, turtles, fish, two species of crocodiles, but most importantly, the area is home to lots of Tarpon and Mexico’s Yucatan offers some of the best fly fishing both baby and adult migratory Tarpon, we’re talking about the big girls here.In the northern Yucatan there are three types of fishing; mangrove estuary fishing for 5-15 lb (2-7 kg) baby tarpon and Snook up to 12 pounds, flats fishing with large numbers Bonefish, Permit, Tarpon, monster Snook and fishing for seasonal schools of migratory Tarpon 50 to 150 lb (22-68 kg) around the rocky sandbar of the Yucatan coastline. There is also offshore fishing for Altlantic Sailfish, Marlin, Mahi Mahi, Tuna & False Albacore. Baja Peninsula: Fishing the Pacific Coast & Sea of Cortez Baja found at 30°00’N 115°00’W is a long peninsula just below California. It’s almost 900 miles long and is surrounded by water. The Pacific Ocean occupies its western boundary and the Sea of Cortez the eastern. The two join at the southern tip in Cabo San Lucas. The coast has over 1800 miles of shoreline. Baja offers terrific fishing and more species of game fish than anywhere, including Florida. Baja offers more kayak fishing opportunities than one can do in several lifetimes.The Baja Peninsula is not as diverse from a fishing perspective as the Yucatan. There is mostly offshore fishing and the prey is usually big. There is inshore fishing for Roosterfish, Toro, Cabrilla, Grouper, Amberjack, Pargo, Yellowtail, Halibut, White Sea Bass, Calico Bass and Bonito, but the main targets are the Tuna and Billfish, Mahi Mahi and the some of biggest Roosterfish around. Some information that might keep you from getting confused: San Felipe, Mexico & San Felipe De Yucatan, Mexico are on opposite coasts. The Sea of Cortez and the Gulf of California are the same body of water. The Gulf of California is in Mexico, as is Baja California. Yes we think its confusing too. San Felipe San Felipe is a town on the Gulf of California in the Mexican state of Baja California. San Felipe experiences one of the largest tidal bores in the world due in part to the Colorado River delta to the north. The port of San Felipe is a small town historically dependent on fishing and now on tourism. San Felipe is located in a unique ecosystem, where the desert meets the sea on the northwest part of the Sea f Cortez. Fishing here is noting like the Yucatan, there are no bonefish, permit or tarpon here but you will find Roosterfish, Tuna, Mahi Mahi Blue Marlin, Sailfish and the highly desirable Striped Marlin. Tijuana to Ensenada Expect Yellowtail, Halibut, White Sea Bass, Calico Bass and Bonito. Right around Santo Thomas you hit a region where the water averages 10 degrees less than southern California. It’s caused by tremendous upwelling. Surf perch and Bottom Rockfish overshadow in this region. El Rosario to Punta Eugenia: Besides White Sea Bass and Halibut, you can expect Yellowtail Tuna, Corvina, Corbina, Croaker and Barracuda. The Northern Cortez The first place that you can get to the water is at Calamajjue and there are a few spots up to Puertecitos. In the spring the Corvina and White Sea Bass schools can be incredible. In summer this is where Yellowtails spend their time. There’s a string of islands called the Las Islas Encantadas a few miles offshore. Around these islands there are lots of underwater pinnacles great for kayak fishing. LA Bay: A kayak fishing hotspot, Bahia de Los Angeles; called LA Bay for short. In springtime there’s a run of White Sea Bass but the area can be very windy. Summer is very hot with temps well into the hundreds. Summer and fall is when the Yellowtail can be found. Pacific Transition Zone This is where the kelp forests transition into subtropical waters. It starts at Punta Eugenia. Tuna and Dorado become more common but there’s a lot of mingling of northern and southern species. In this zone you might catch White Sea Bass, Yellowtail, Yellow Fin Tuna and Dorado all in the same day. This region offers superb angling. Broom-tail Grouper and Giant Sea Bass can also be found here. You can easily hook fish you’ll struggle to land. Mulege/ Santa Rosalia Area After you cross the peninsula again you hit the Sea of Cortez at Santa Rosalia. From here all the way past Conception Bay there are a lot of opportunities to kayak fish. Conception Bay, just south of Mulege is one of the most beautiful places. Fishing in the bay is ok but you’ll want to fish on the outside in the Sea of Cortez. The region has a reputation for some of the best middleweight fishing in all of Baja. Yellowtail is found in the winter and summer brings Tuna, Dorado and Sailfish. Loreto Area: There are two seasons here. In the warm months it’s Dorado, Tunas and Sailfish. In the cooler month’s Yellowtail, Leopard and Gulf Grouper is the game fish found. Off the beach at Juncalito you can catch Roosterfish. Pacific Mangrove Lagoons and their Ocean Region Literally dozens of species call these waters their home. Way too many to list but include Snook, Broom-tail Grouper, Trevally, Corvinas, Pompano, Sierra and Spotted Bay Bass. In the ocean are many of the same but also Tuna, Bonito, Amberjack, Jack Crevalle, Roosterfish, White Sea Bass, Yellowtail and Giant Sea Bass. Offshore are Marlin along with Tuna and Wahoo. Cabo San Lucas and the East Cape Cabo sits at the southern tip of Baja. You can catch not only Roosterfish but Dorado, Tuna and Billfish from a beach launch. There aren’t many places on the planet that you can make that claim. Inshore there’s terrific fishing for Toro, Cabrilla, Grouper, Amberjack, Pargo and the biggest Roosterfish in the world. Cabo should be on your bucket list is its not. It is truly one of the most amazing places to fish in the world. The offshore fishing is legendary for Blue Marlin & Pacific Sailfish but mostly the rare and very desirable Striped marlin. Two current IGFA world record striped marlin records are from this area in Mexico. The other hot spots for striped marlin are Hawaii & New Zealand. Holbox (“black hole”) is an island located on the north coast of the Yucatan Peninsula. It is approximately 12 x 1.5 kilometers, and it is separated from the mainland by a shallow that is home to pink flamingos and other interesting birdlife. Holbox Island is part of the Yum-Balam Biosphere Reserve. Not yet heavily touristed, the island’s main industry is fly fishing. However, the island is developing a tourist attraction in the form of whale shark viewing. The island is accessed by ferry from the mainland town of Chiquila, and has virtually no cars, with transport by most residents and tourists by golf cart or moped. Holbox Fly Fishing Lodge is the only property on the island dedicated to fly fishing enthusiasts and their non-fishing partners. There are plenty of tarpon both large and small tarpon, cobia, sea trout, snook, barracuda and the occasional permit. Non-fishing partners mix wandering throughout the town, swimming, kayaking, windsurfing, birding and island exploration with hours of relaxation on the empty, white-sand beaches of this undiscovered island. You can also mix in a trip to nearby Mayan Ruins or snorkel with the whale sharks. Isla Blanca Located in the district of Quintana Roo and just north of Cancun, is an undisturbed peninsula of white sandy beaches and virgin jungle with miles of mangrove channels, lagoons and sand and grass flats. 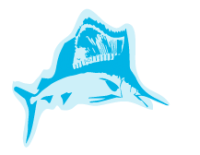 The area spans the southern flats of Chacmuchuc Lagoon, reaches north to Cayo Ratón, Punta Iglesias, and Cabo Catoche (Holbox Island), and extends east to Contoy Island. Fly-fishing here has long been overshadowed by well-known saltwater hot spots south of Cancun and into Belize. Permit out number Bonefish on Isla Blanca flats. You will see dozens of Permit in a day and have multiple shots during the prime spring and summer seasons with time left over to catch Snook and Tarpon. Permit fishing is usually a matter of wind, fly choice, tide, long accurate casts, and some luck. Permit have excellent eyesight and are extremely wary in the shallows. The shadow of a fly line, the splashdown of a fly, or even the slap of a wave can send a school scurrying. The ideal time for schooling Permit comes in the morning with incoming or high tides. You can spot schools of 3 to 50 fish, with skiff and wading opportunities depending on the specific flat where most of the water is knee-deep. The fishing differs here from Florida Keys Permit fishing, where patterns are larger and heavily weighted for deeper flats. Spring and summer is the best time to target Permit. Fall brings larger deep-water fish onto the flats, with 15 to 20 lb (7-9 kg) catches more common in September and October. In addition to targeting schools, some of the best Permit shots come with single Permit following rays. Land your fly as close to the Permit as possible, on or just behind the ray. Isla Blanca’s abundant mangroves provide good sight fishing for baby Tarpon in clear water. The mangroves fish best on incoming or high tides, when Tarpon (5 to 15 lb.) feed on Needle Fish, Mullet, and other mangrove foods. The interlaced channels and river estuaries also provide opportunities for Snook, Barracuda and Snapper. Although mangrove Tarpon weigh an average of 6-10 lb (3-5 kg), it is possible to catch some up to 30 pounds (13 kg). Be prepared to lose flies to roots, sharp bony mouths and many other mangrove obstructions. Many Yucatan flats, Ascension Bay for example, have large schools of Bonefish and shots at Permit. Isla Blanca is the exception. Expect to see Permit throughout a single tide but not as many shots at a Bonefish as you would think, they are not abundant here but the water is deeper and there more places for them to avoid us. The best months for Bone fishing are May and August, during the lowest tides. Celestun Is located on the northern Gulf side of the Yucatan and is a place for baby tarpon & migrating Tarpon in the mid-late spring. It is just 60 miles north of legendary Campeche and relatively easy to get to from most arrival locations. While Permit and Bonefish are here, the primary target is Tarpon. Campeche Is located on the central Gulf side of the Yucatan and is a great place for learning how to tarpon fish. Their estuary is filled with 5-15 lb (2-7kg) baby tarpon and this is an all year around tarpon fishery which is very well known. It is popular and heavily fished but somehow it consistently delivers. One of the premier tarpon fisheries in the world. You probably won’t break any world records here, but Campeche offers a great time for the beginner or the seasoned veteran world traveler. Snook live along side of the tarpon and you will definitely encounter some in the mangrove channels. Do not misunderstand, the big migrating tarpon show up here in the spring, but the “year round” fishery is mostly the baby tarpon in the mangroves and the snook. You might break a snook record here, but this is a place where you can catch many decent sized fish and have shots at large ones if fishing the right time of year. April through September is best. Ciudad del Carmen Is Located on the southern Gulf side of the Yucatan located about 45 miles south of Campeche. There are many opportunities for Tarpon & snook in the small bay and along the gulf side waters as well. Again not many Bonefish or permit this far down but occasionally they make an appearance. Tarpon and snook are the main targets here. Ascension Bay Ascension Bay which stretches over 300 square miles, is world-renowned for its populations of Bonefish, Permit, Tarpon and Snook. The seemingly endless expanse of flats, mangroves and lagoons are legendary for the number of fish, remarkable diverse birdlife and natural beauty. There are schools of bonefish, large numbers of Permit, Tarpon and Snook, offering anglers some of the most productive salt water flats fishing on the planet. It’s the perfect destination to catch your first Bonefish. Widely regarded as the toughest flats fish to take on a fly, Permit thrive in Ascension Bay’s protected habitat. Anglers also have a better than average shot at a Grand Slam daily. Costa Maya Is a major cuise port located about 27 miles North of Xcalak. While there is great fishing in the area, it is dense in population and traffic as a cruise destination and finding a reputable guide and accruate instruction may require more work than other places in the Yucatan. It’s worth it to travel to Xcalak which is divided by a small river from Ambergris Caye. Xcalak Probably the best kept secret in Mexico. Xcalak is an abundant fishery just north of Ambergris Caye in Belize. It is a year round Permit fishery which offers both wading and fishing from the boat. The permit range from 4-40 lb (2-18kg) but the average is in the 10-12 lb (4-5 kg) range. The are bonefish here but they not plentiful like the fish in the Bahamas, you should get some chances so make them count. The tarpon that show up here are the migrating tarpon therefore the tarpon fishery is seasonal. They usually show up in the spring and April -June becomes the time to target them. There could be chances at baby tarpon in the various creeks and streams but if you are going to Xcalak, focus on Permit. It’s one of the best permit fisheries in the world and it is not very well known in the fly fishing community but its just a matter of time. The fishing is consistently good in Xcalak. Banco Chinchorro is a small collection of mangrove islands & vast sand flats about 25 miles east of Costa Maya which is a prime permit & bonefish. It is easily reached by boat conditions of course dictate exactly how easy it is to get there. Best to stay in Costa Maya there are a few resorts there and arrange for your guide to take you there. Permit is the main target but again Big Tarpon can be caught here during the seasonal migration. You can also see bonefish as well, so the chance for a grand slam is definitely good here. San Felipe de Yucatan The mangroves surrounding the fishing village are havens for baby Tarpon. When the prevailing spring and summer winds blow in from the southeast, the mangroves are the best and often the only fishing option but when the winds dies down, fly fisherman venture offshore in search of migratory Tarpon that weigh from 40 up to more than 100 pounds. San Felipe is a host to a baby Tarpon fishery which is situated within the larger Rio Lagartos National Preserve, an 118,000 acre national park, and includes about 8 miles of mangrove flats habitat protected from commercial harvest. Here the Tarpon life cycle begins in the fall where female Tarpon produce millions of eggs that are fertilized in the open ocean and hatch at sea. Unlike Isla Blanca, San Felipe’s baby Tarpon fishery is less a sight-and-cast game due to its tannin-stained waters. When Tarpon are rolling, however, they are easier to catch. The Tarpon at this end of the peninsula take subsurface and top water presentations, not the expected fly. They’ll eat flies like Surf Candies, Deceivers, Clousers, Dahlberg Divers, and foam or hair poppers. Oranges, tans & yellows seem to get their attention San Felipe’s mangrove estuaries are also home to Snook. However, it’s the migratory Tarpon fishery that stands out. The best time to beat the wind is June through September, when calm mornings allow you to find large schools of surface-feeding Tarpon. When the wind blows, finding the big ocean fish is all but hopeless. These days are best spent fishing the sheltered mangrove lagoons. On calm days you can fish from a mile to 1 1/2 miles offshore, in water ranging from 10 to 30 feet deep. When the water is flat, you can spot large schools of rolling and jumping Tarpon from a long distance. The water is too deep to target individual fish, but where one fish is rolling there may be dozens nearby. San Felipe migratory Tarpon corral baitfish like schooling Tuna and Dorado, Sardines, Ballyhoo, and Mullet. These fish are aggressive and often attack the fly. The Yucatan’s prime season runs from April through November. June, July, and August are the peak months for migratory Tarpon at San Felipe, while April-May and September-October are best for landing Isla Blanca’s larger Permit. Smaller school Permit remain on the flats throughout the summer months and into September. Baby Tarpon and Snook are available year-round, but cold fronts can hurt your fishing from December through March. Barracuda & Shark usually require a 12 weight. A 12 weight for the lifting power and usually gives the angler more control when trying to land the fish because they fight! Wind is never an issue when casting a 12 weight either. Use a floating line or what we prefer is the intermediate sink line with at least 200 yards of backing on your reel. Leaders should be 9 feet with a metal tippet material. (we use 30 lb metal tippet) The reel should have a sealed drag and made for saltwater fishing. We use the term ‘bomb-proof” which means different things to different people. To us, it means simply a tested & proven reel with the following features: 1. Very few or no moving parts 2. Smooth drag with smooth start-up 3. Sealed drag which will not corrode 4. It will not fail under any circumstance Flies can be searched in the HD Fly Tying Library. flyfishbonehead is fly fishing in saltwater. 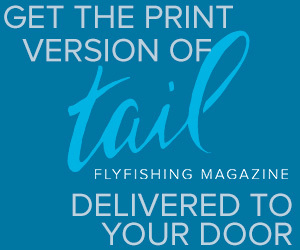 We make Tail Fly fishing Magazine & saltwater fly tying videos too. Some of the more popular ones include: baby dorado, any baitfish pattern, poppers, the rat, great pumpkin for sharks.